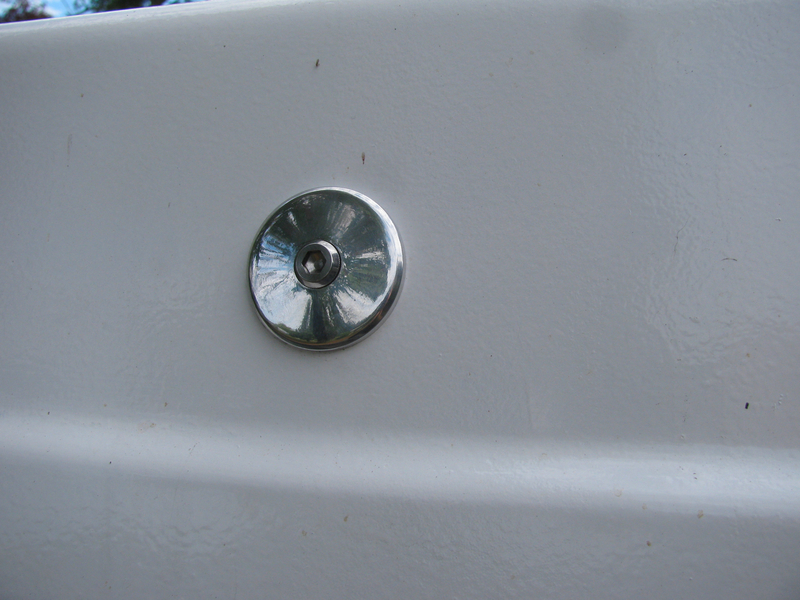 I hate the truss head bolts used on the Vanagon pop top. They are hard to unscrew and they rust. 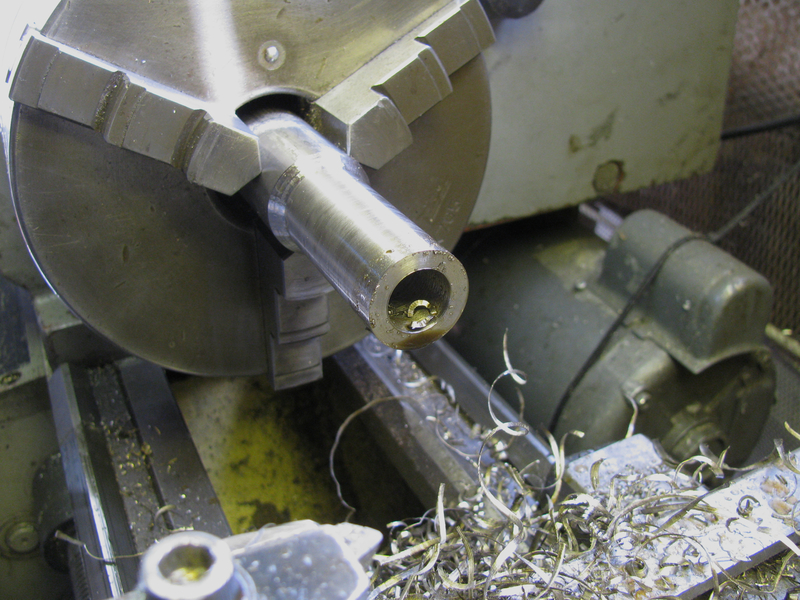 Some vendors sell stainless steel versions (it is a M6 x 1.0, 20mm long). Phil Z. used oval head stainless machine screws stainless cup washers (he filled the back side of the cup washer with thickened epoxy), and they looked pretty good. But I wanted try something else, something with a big head and that looked good, I only had 50% success. I made a cup washer of sorts from 1/4″ aluminium and used a M6 machine screw and I think it looks a bit odd. 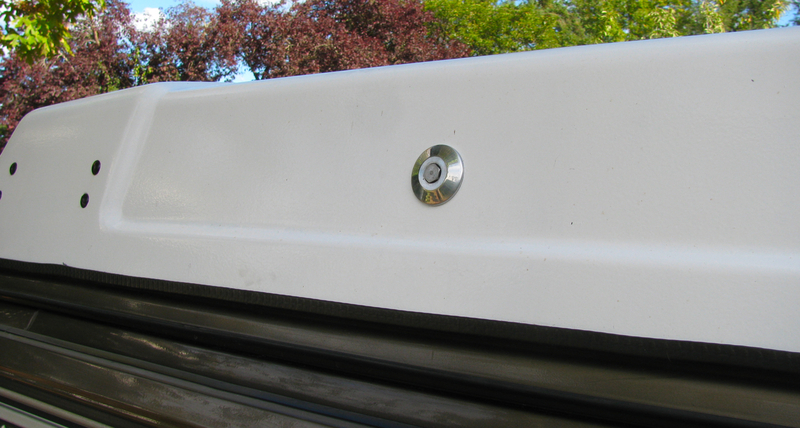 I had another go, this time with the bolts that fix the pop top assist struts to the fibreglass. A bit better looking or maybe not. On the other hand, they don’t look *that* bad, and certainly better than what was there before. Who am I kidding? The last one looks like crap. Here is another attempt. It was temporarily moved out of its hanger at the BC Aviation Museum, and was tucked under the wing of the Douglas A26 Invader. 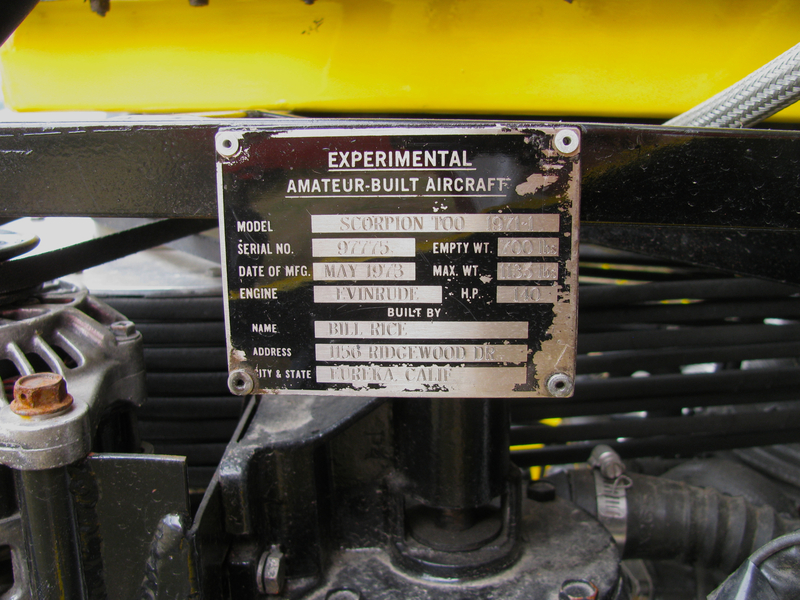 Wikipedia entry on this aircraft here. It all started so easily, replacing a torn steering arm boot (same boot in all Vanagons). 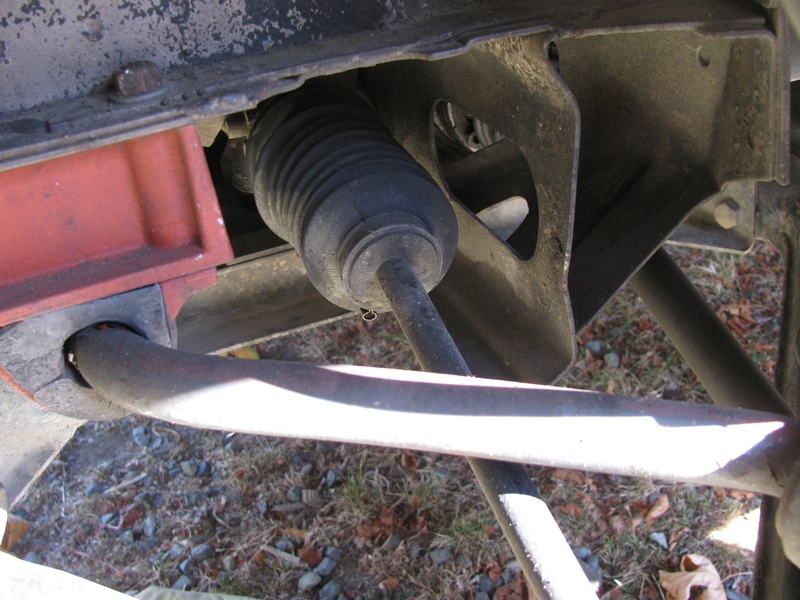 I figured if I removed the ball joint end of the arm from the steering knuckle I could pull the boot off over it and and not change the arm adjustment (toe in). 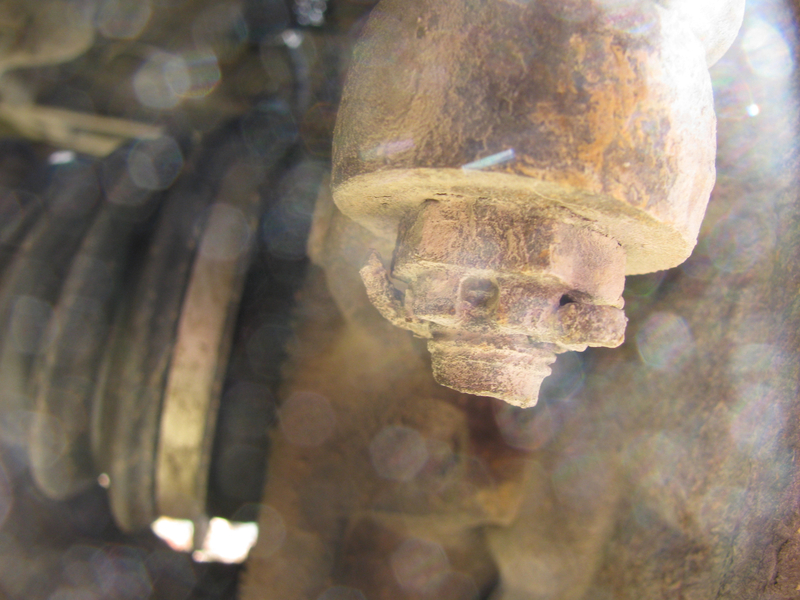 Out to the ball joint at that end, castellated nut with cotter pin. 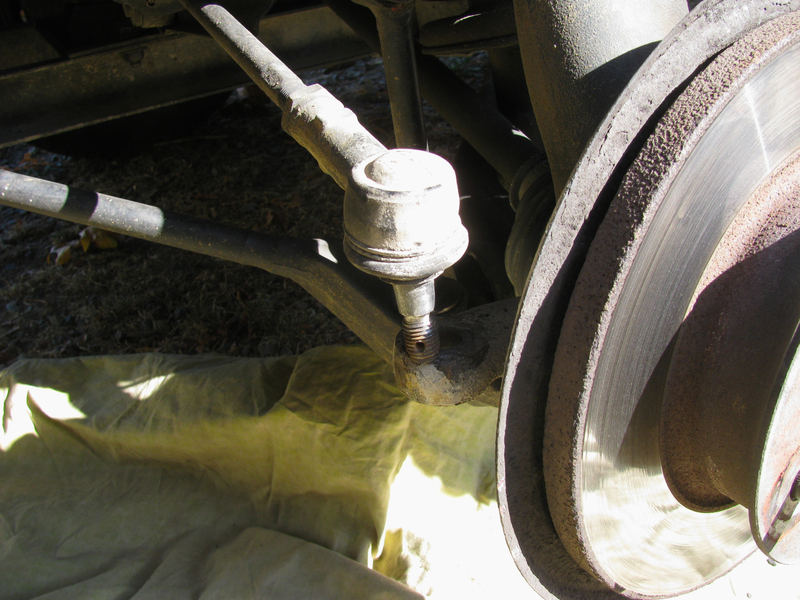 I pulled the cotter pin and unscrewed the nut, then screwed the nut back on backwards to protect the threaded end, gave the steering knuckle around the ball joint a couple of good raps with a heavy hammer, then rapped upwards on the nut and the joint popped free. Nice when it happens so easily. 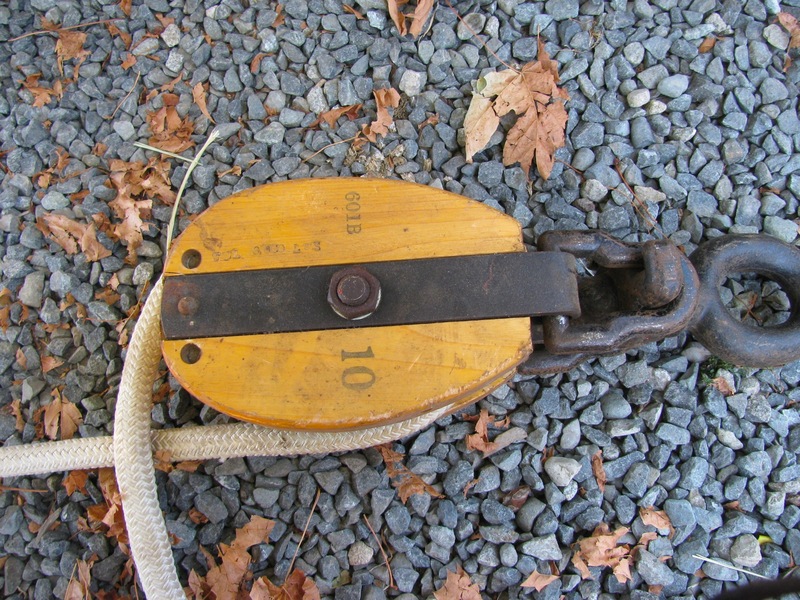 The boot was held on by 2 metal clamps (Oetker?) 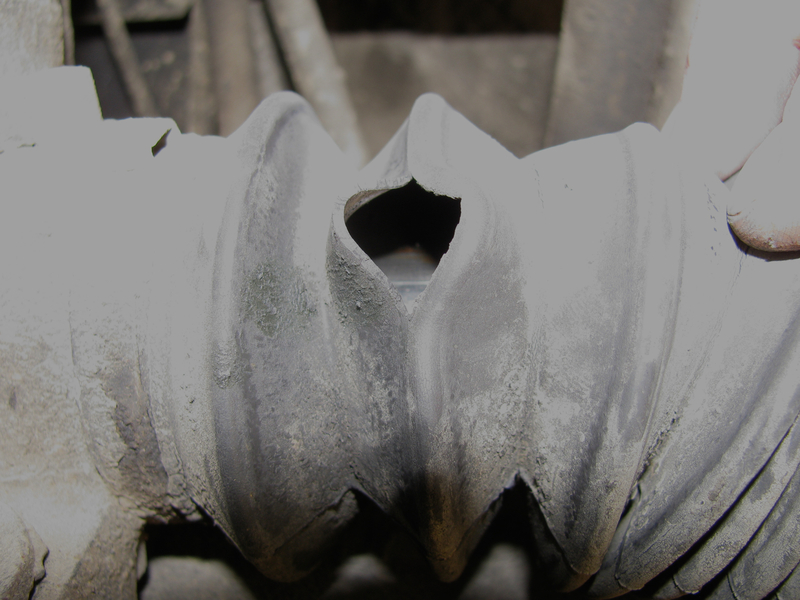 and I snipped the crimped part with some wire cutters and then pulled the boot out towards the ball joint. 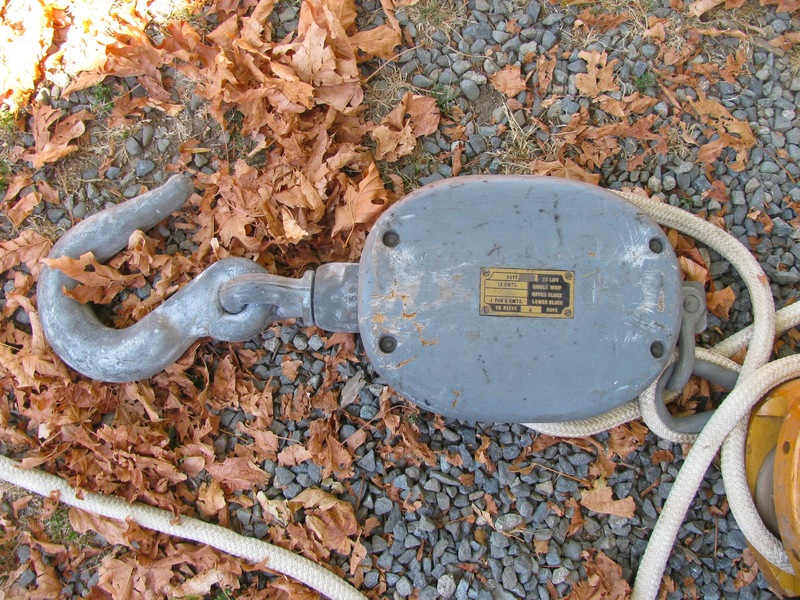 That rubber doughnut on the arm locates the outboard end of the boot. 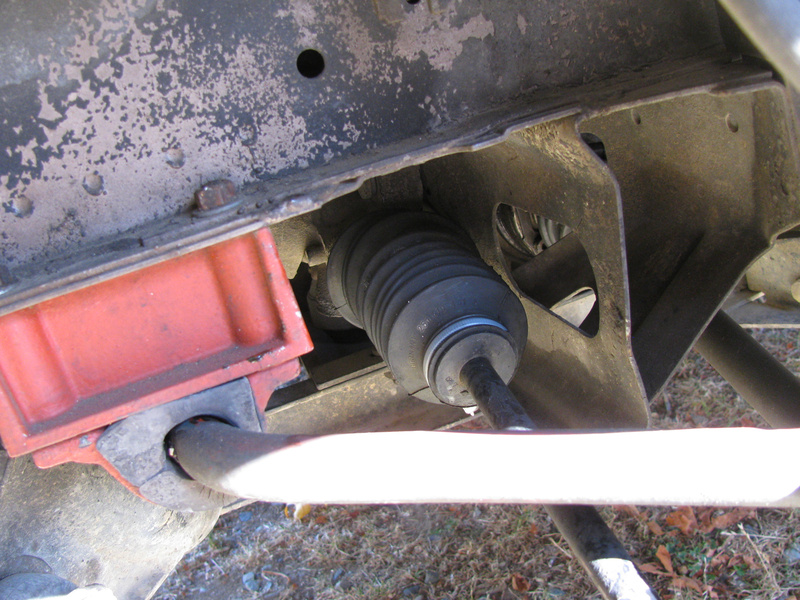 The new (well, used one I had in my parts bin) went over the ball joint and up to the rack. 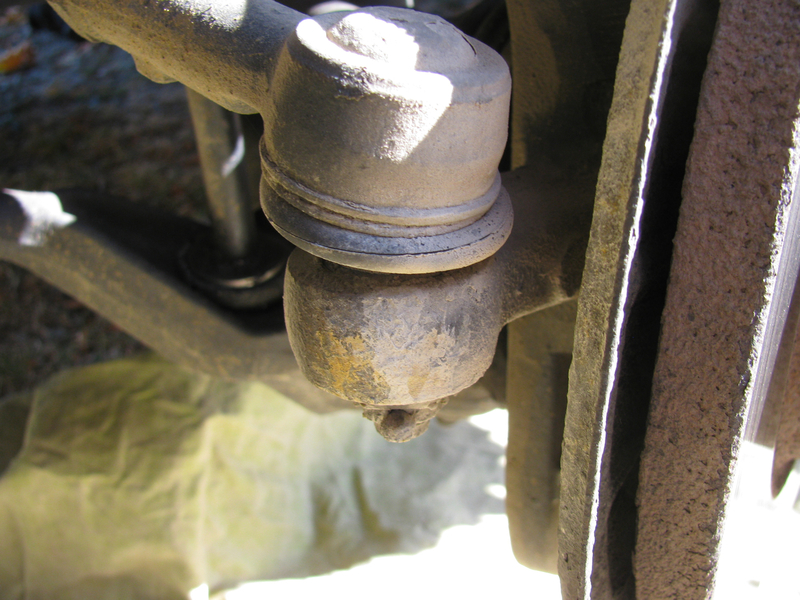 Oh, I did put a bit of grease on the exposed ball joint on the inboard end of the steering rack. I used cable ties to secure the boot the the rack and the rubber doughnut. Now the interesting part, while under the van I decided to have a look at that side’s radius arm rubber bushing and inner sleeve. These parts do wear out, and the sleeve rusts. 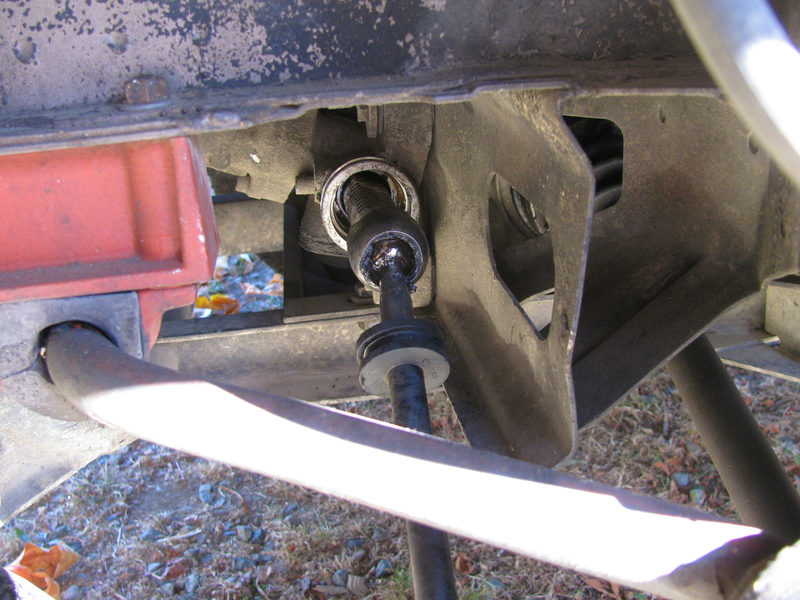 I undid the drop link from the sway bar to the radius arm, the 19 mm nut at the out board end of the radius arm (inner bolt not touched, to keep the castor unaffected), and the 3 X 19mm bolts that holds the radius arm to the steering knuckle. 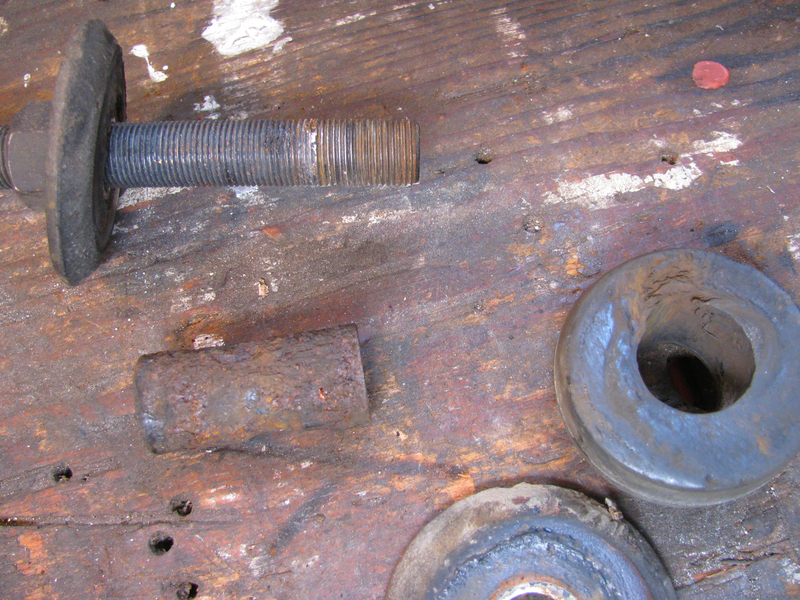 As suspected, the sleeve was badly rusted and the bushings shot. 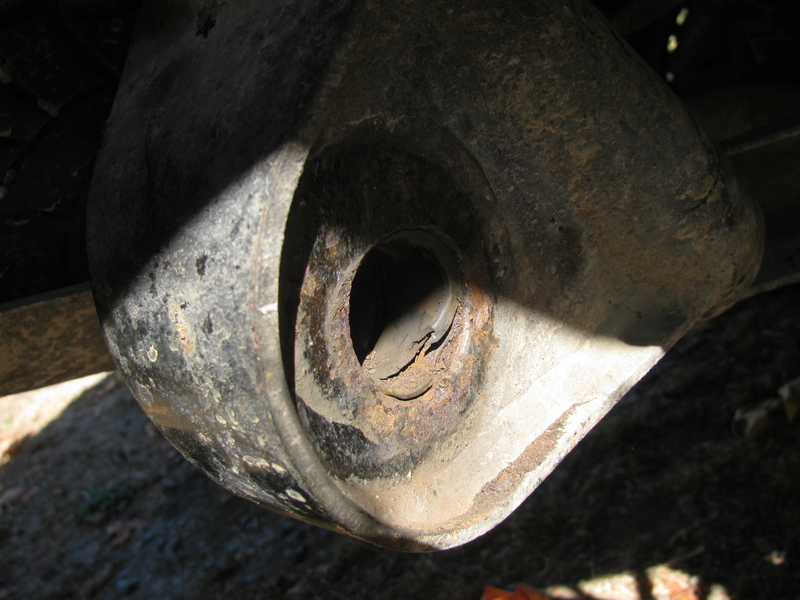 The subframe hole also was rusty, but still sound underneath. Pretty well the same set up in 2wd Vanagons, its just that the syncro has that front subframe. 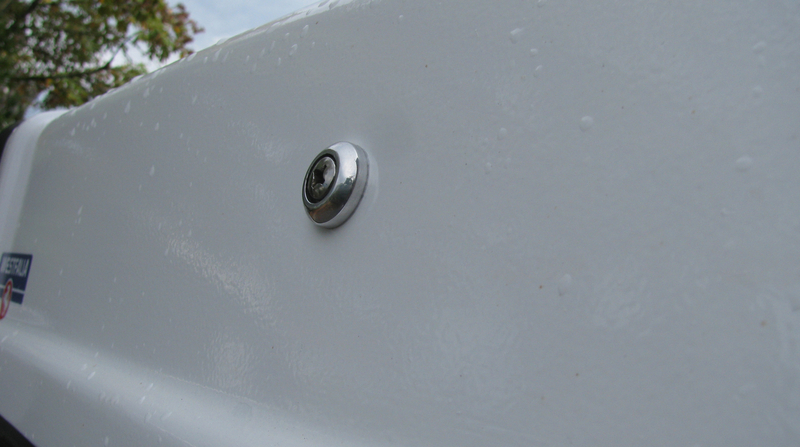 Neil has a great write up on fixing his damaged radius rod mount on a 2wd Vanagon. So I have to get new bushings, but right now I decided to make a new sleeve. The dimensions of the sleeve (found on this Samba thread) are: 56 mm long, 25 mm OD, 19mm ID. 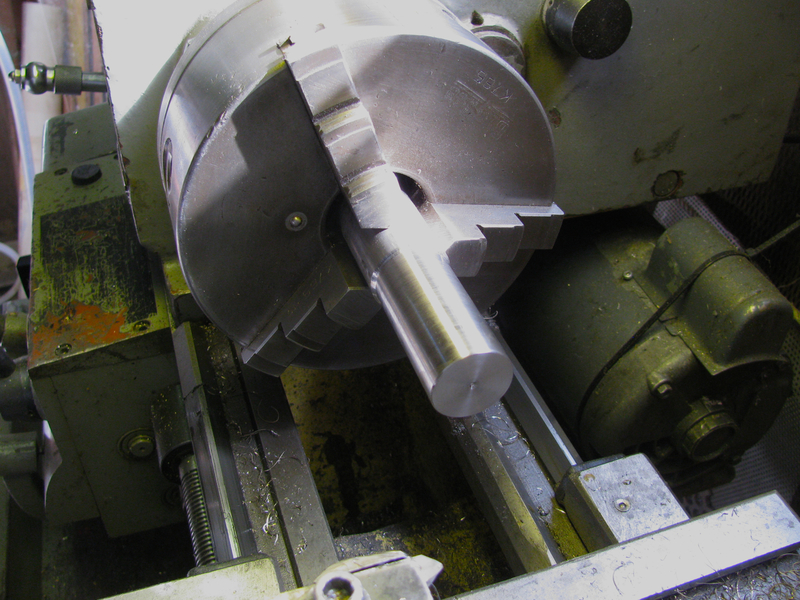 I did not have any pipe that was close to those dimensions but I had some stainless steel shafting from the scrap yard. It’s not the most efficient way of making a sleeve I admit. I could have made a few pot scrubbers with the swarf. 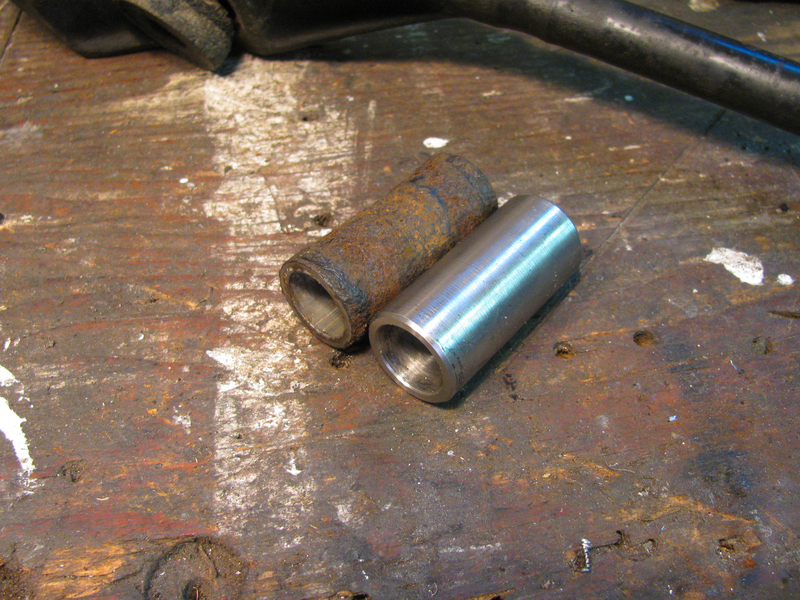 The finished sleeve beside the rusty one (btw, the stock sleeve looks like welded tube, and only rusty on the outside). I slathered everything with a homemade Waxoyl concoction and put it all back together. I’ll order some new bushings. A wet and cool spring and most of the summer but in August and now through September, the sun has been shining and not much rain has fallen. This will change soon of course, the clouds are presaging the rain to come. 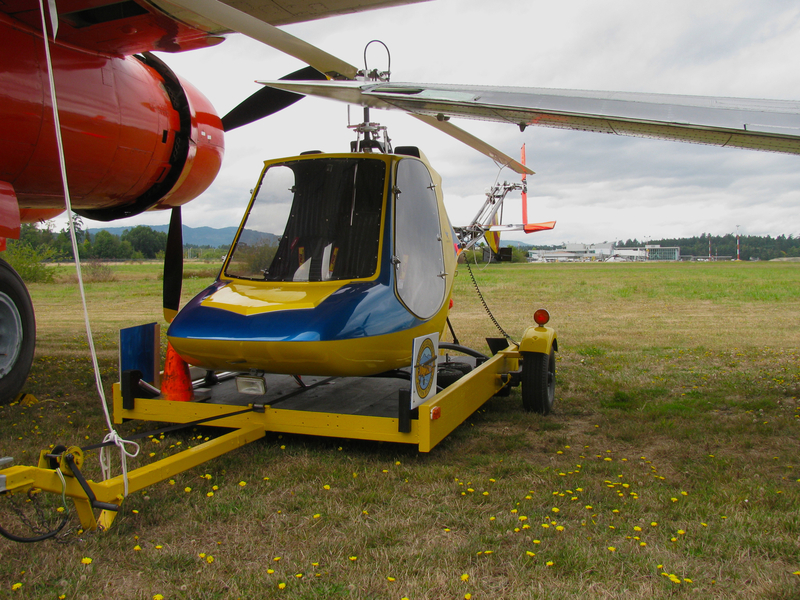 Edit: Angus tell me that “the closest one in that shot is a Gulfstream G150, until recently, known as an Astra. Behind it, a Lear 45”. 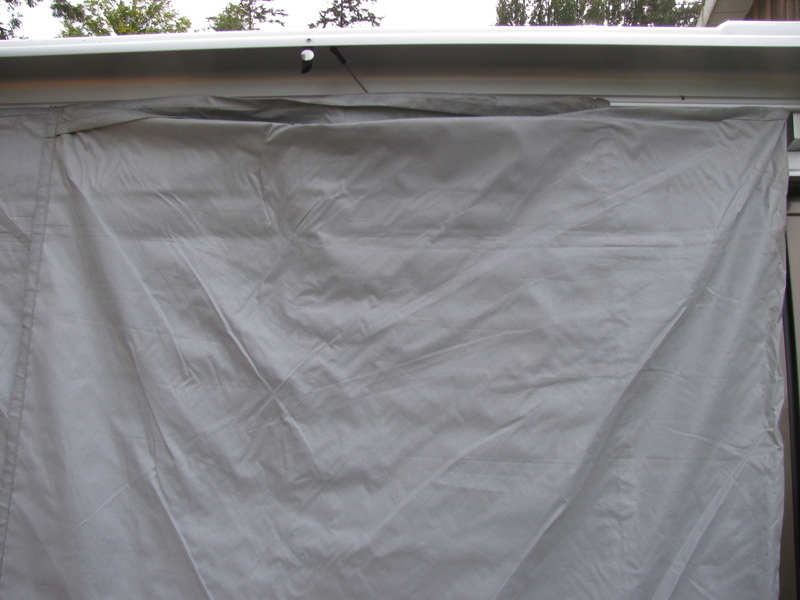 After about 5 years of use my Shadyboy awning was looking a bit dirty. I contacted Wolfgang at Shadyboy and he confirmed that the material can be cleaned with soap and water. Here are some pics I took, padding the post a bit, but maybe someone would be interested in how the awning looks non-deployed. Some of the dirt must come from keeping the guy line stakes in here. Unrolled, you can see it is a bit manky. 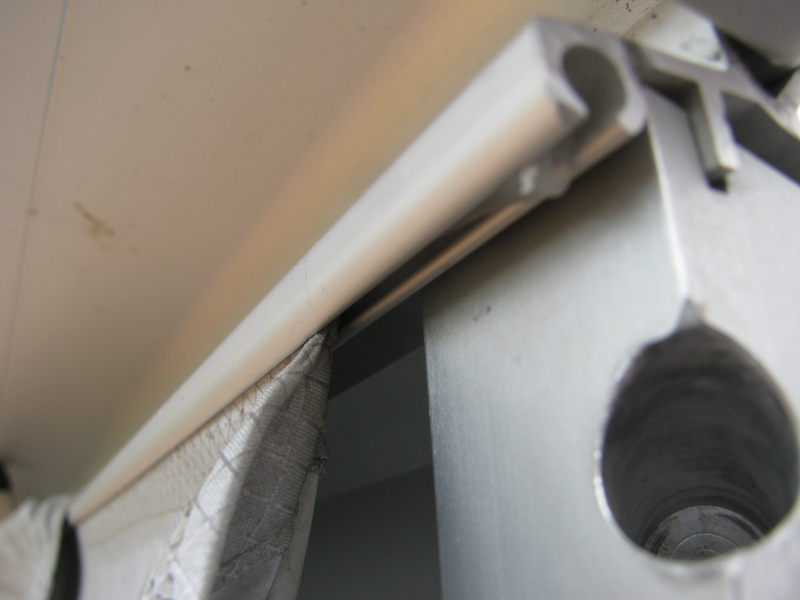 There are silicone plugs at each end of the grooved aluminium extrusion that the inboard seam awing slides into. 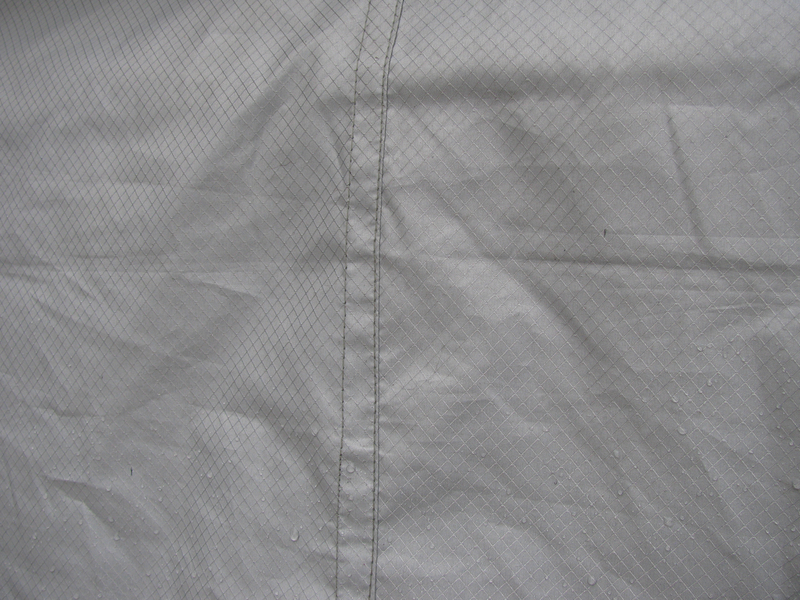 The seam has a flexible rod sewn into the hem. The plugs can be pried out with a flat bladed screwdriver, just need to do one end. With the plug removed, the hem slides right out. 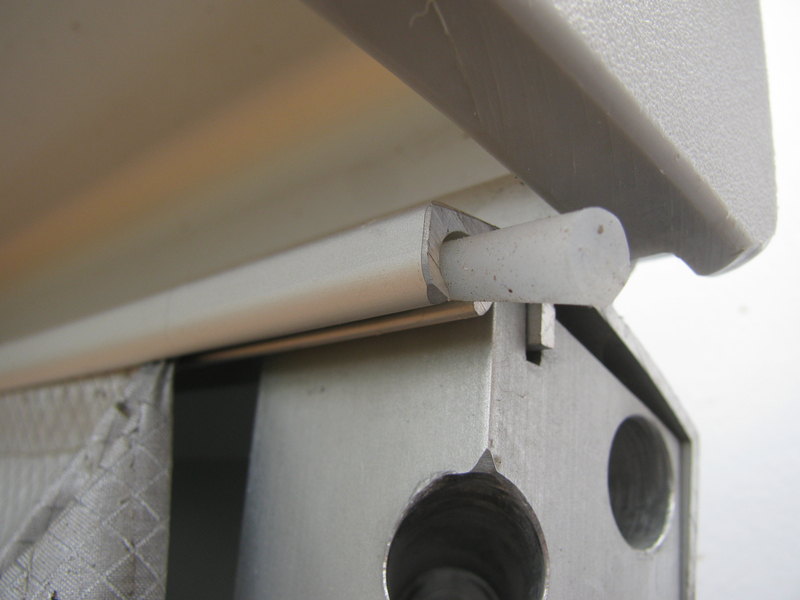 Notice the gap between the aluminium block with the hole drilled in it and the case? Seemed like the case might have been bent away from the block, I used a little C-clamp to draw the case back closer to the block. 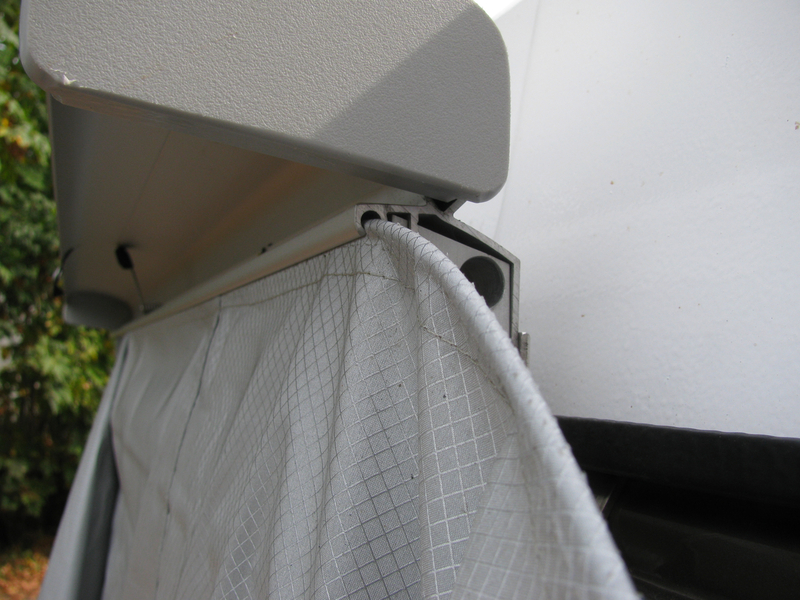 I hand washed the awning using warm water and a very little bit of laundry detergent. 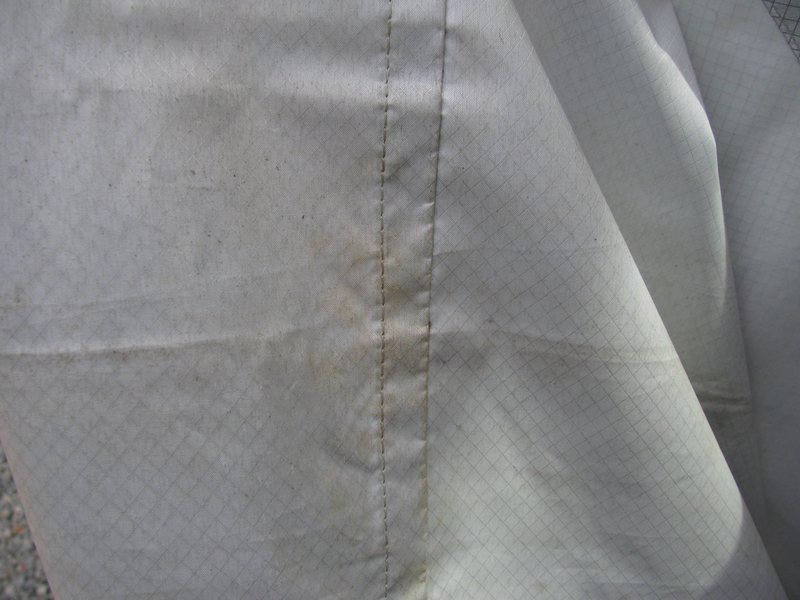 I rinsed it well, and I noticed the water beads up and slides off the material just like it used to. Then the material was fed back into the groove and the silicone plug installed. Before and after shots. 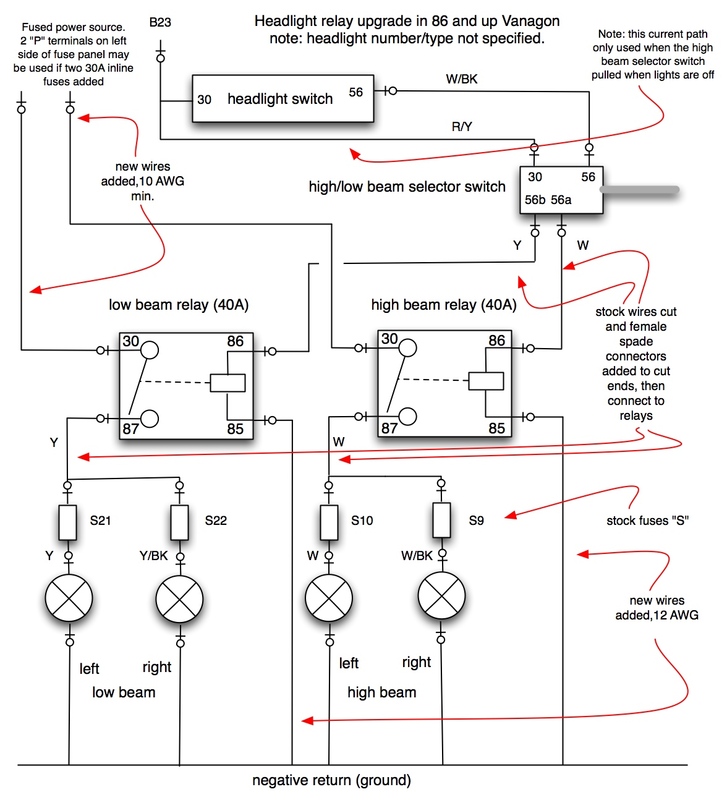 Some sort of planetary alignment must be happening, I’ve been talking to a few Vanagon owners about headlight relays, so I thought I’d post a couple of diagrams. 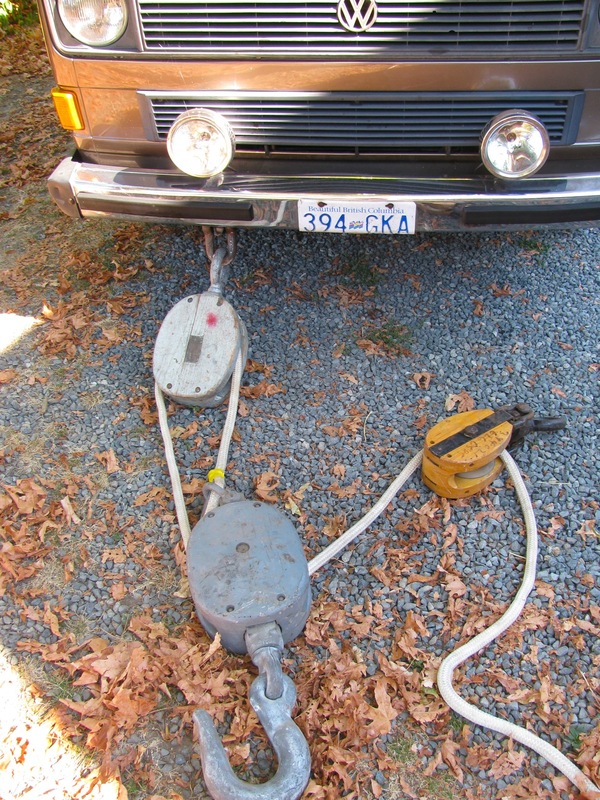 Adding headlight relays to the van is a good idea, it redirects headlight power current away from the hi/low beam selector switch and the headlight switch. By passing the switches helps to maintain a good voltage to the lights and most likely prolongs the life of the switches. Also, if upgrading the lights to higher wattage bulbs, then relays are a definite requirement. 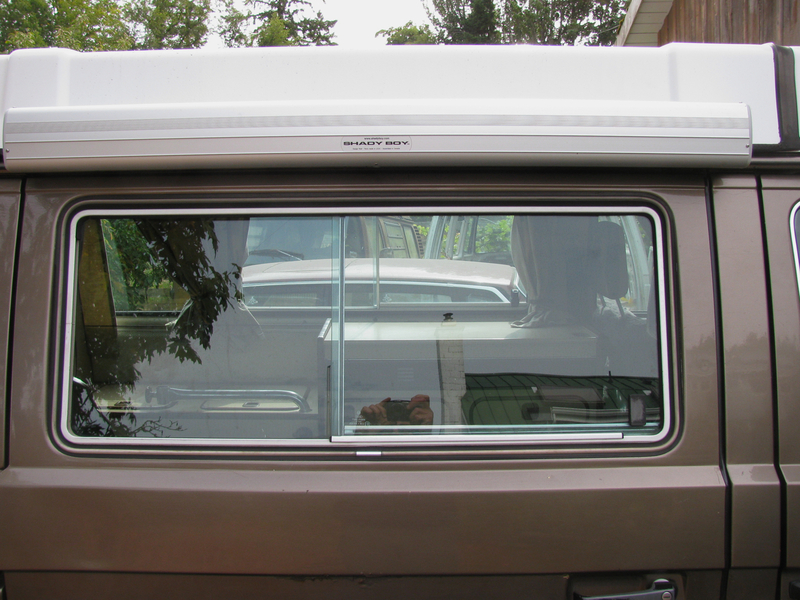 First off, here is a diagram I made years ago when I did the mod to my ’82 westy. For some reason I think the diagram has an error in it, can anyone see it? 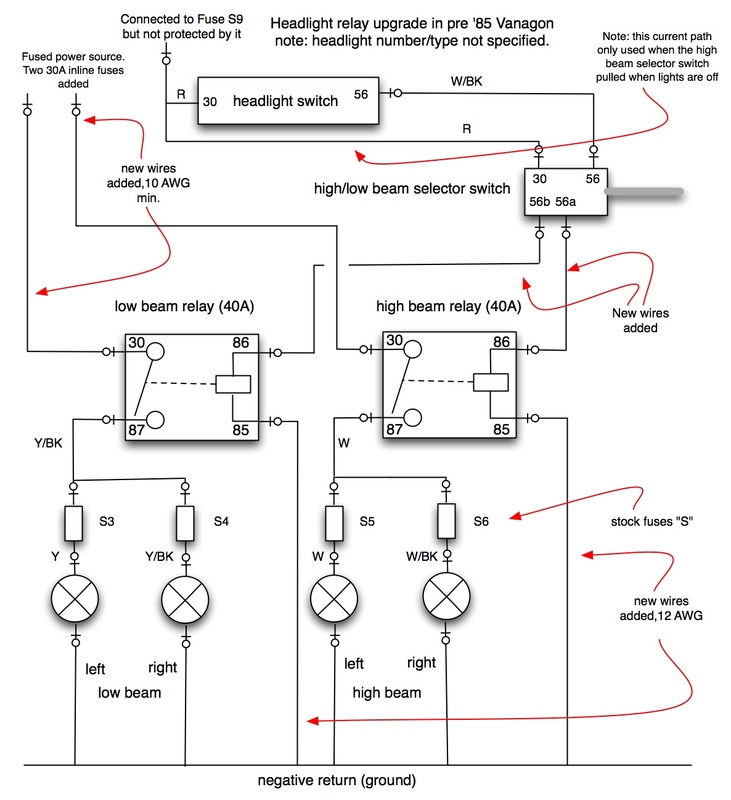 Seems silly to post a schematic that I am not 100% sure of, but on the other hand if one was to study it to find the error one would come away with a better understanding of the headlight circuit 🙂 Oh, one more thing, if I was to do this over, I’d run separate fused power for each relay. 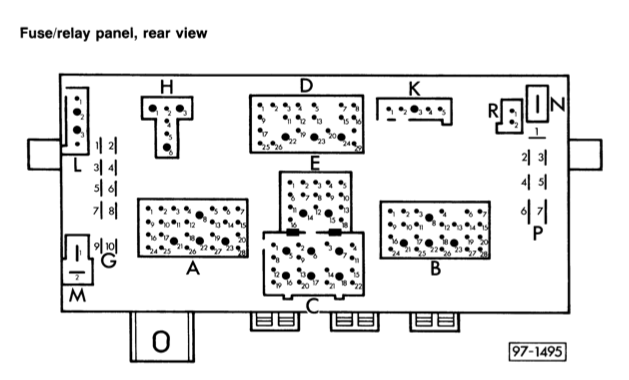 Thanks for the clarifications Mark, I’ll look for the original source file of this diagram and change it. Edit: well I couldn’t find the original file so I dashed off a new version, quick and dirty. 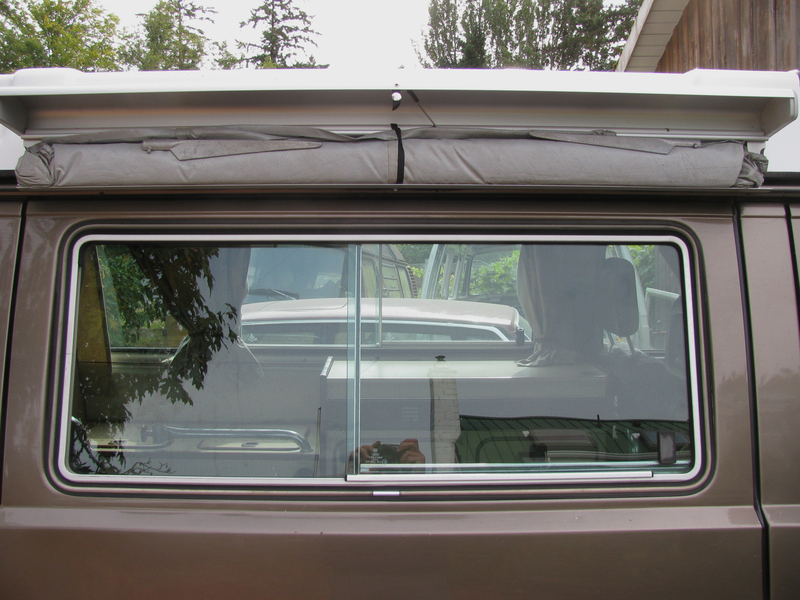 And now on to the post ’85 Vanagon wiring. A couple of notes first. The power source for the relays can be the “P” terminals on the left side of the fuse panel if looking from the front, or the right side of the panel if looking from the rear, ha! Or you can run new wires directly from the battery. 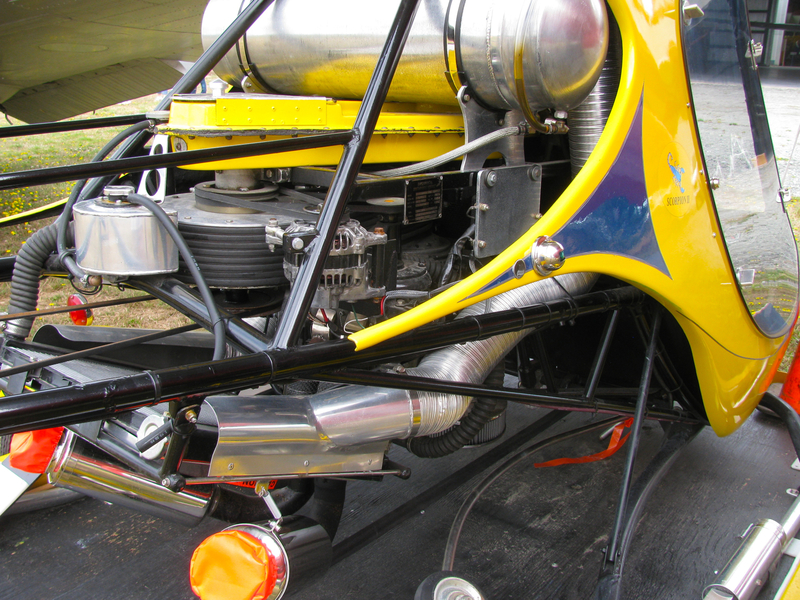 Whatever source you decide to use, you HAVE TO install inline fuses close the power tap. The relays themselves can be clipped onto the top of the fuse panel if you have a couple of those relay bases that fit. 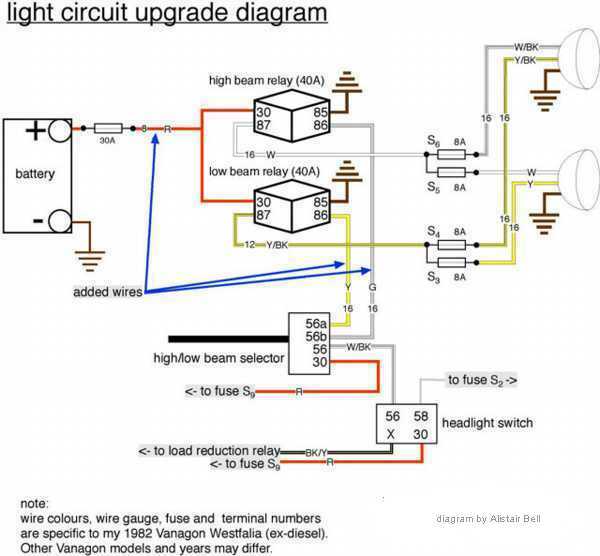 This diagram does not include upgrading the wires from the panel to the lights, but does retain the stock fuses for each beam/light. I have gone over the diagram, I believe it to be accurate, please post any corrections in the comments. There are suppliers that will sell you a kit to do all this, a good one is sold by Jay Brown.